Sometimes it’s best to hire a translator for genealogy documents–even if you’re a committed DIY-family historian. 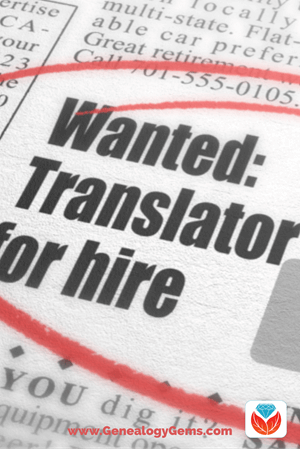 Here are some fantastic tips from a pro on when and how to hire a translator rather than do it yourself (or ask Google Translate). 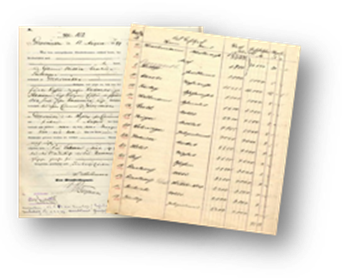 When should you hire a translator for genealogy documents? This is a great question, and we’ve invited professional German-English translator Katherine Schober to address it. She specializes in translating genealogy documents. Here’s what she has to say—and don’t miss her top tips for hiring a translator. But sometimes it’s best to hire a translator for genealogy documents rather than trying to do it yourself (or asking Google Translate). These are the times when you want to be absolutely certain of the accuracy of your document, when you want to be sure that you are extracting all possible information and genealogical clues about your ancestor from the document at hand. And, perhaps the most obvious reason, when you just don’t have time to painstakingly decipher the document yourself. A key reason to hire a professional translator is to be sure the document is read and transcribed accurately. Just like today, no two person’s handwriting was ever exactly alike in the past. So while there are “alphabet keys” to help you transcribe old handwriting letter by letter, your ancestor or a church scribe may have written some letters very differently than the handwriting examples you may be consulting today. The same applies to spelling. German—and many other languages—did not have standardized spelling until the late 1800s. Our ancestors often just spelled words as they sounded to their own ears. This can result in some very unique spelling, and make it impossible for you to find a word in a dictionary or online. Furthermore, many of the words our ancestors used are outdated and no longer in modern dictionaries. Old-fashioned dictionaries do exist, but you must find them and perhaps buy them, and you will usually need to understand the language (such as German) to interpret them correctly. These realities can leave you puzzled and frustrated when trying to decipher a strange-looking scribble. However, translators have seen many variations of letter formation and spellings throughout their careers, and are familiar with these old words and phrases. Something that may take you hours or days to decipher—and may produce uncertain results—is much easier and more reliable when done by a professional. Along with understanding what’s written, translators who have genealogical or historical specialties also know what information should appear in a church book or certificate. They are very familiar with the formats and phrasings commonly used in these documents, which makes it much easier for them to recognize and translate these. Hiring a professional translator for your genealogy document is best when you want to be absolutely certain of its overall meaning—not just its word-by-word translation. 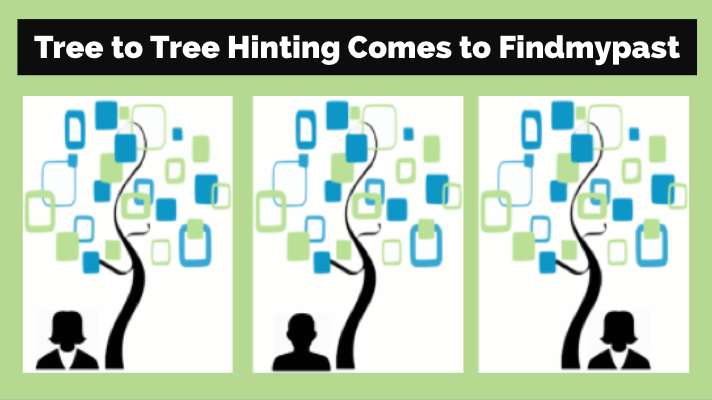 In the genealogical field, certain words and phrases have layers of historical meaning. Some of these meanings actually varied by time period and location. A professional genealogy translator would be able to accurately convey the meaning of a word or phrase for your specific document, not just a cookie-cutter dictionary definition. A translator will also be able to provide more information on the material found in your document. For example, I always use footnotes to inform my client of the historical context of an event mentioned in passing in a text, of additional meanings of a word that the author may have been trying to convey, of the meaning of certain symbols in church books and certificates, and so on. This helps you to have a more thorough and accurate understanding of your ancestor’s document, which can help you to discover more clues later on. 1. Hire a native English speaker (if your document will be translated into English). In the field of translation, the number one rule for most translators is to only translate into your native language. Why? When writing a document for a client, the translator should be 110% confident of every word he or she types, understanding every small nuance the translated word might convey to you, the English reader. The text usually also reads much more fluently if written by a native speaker. That being said, there are of course exceptions to every rule: there are many translators who grew up in bilingual households, as well as talented linguists who do translate accurately and write well in both their native and non-native languages. As a general rule of thumb, I would say that if you are translating a diary or a letter, hire a native English speaker to be sure that your document will read well and accurately in your own language. If you are translating a certificate or a record where it’s more about individual words and phrases, this is likely not as important. 2. Ask for their credentials and experience. Nowadays, most translators have websites which list this information, but if not, feel free to ask them. In the age of the internet, trust is important, and translators understand that you need to trust them with your project and your financial investment. If they have a review section on their website, check out the reviews before going forward with your project. 3. Get a clear understanding of project cost and time required before beginning your project. Experienced translators should have many projects under their belts, allowing them to provide you with a general idea of cost and time required for your translation. For example, before I quote a project, I look at past projects of similar format and handwriting (is it a church book? a diary? a certificate?) and look at my records on how much time was required for those specific jobs. I am then able to accurately convey to the client how much time I will need for his or her translation, as well as how much it will cost. It is important to discuss these things ahead of time so that there are no surprises for either person upon completion of the job. American Translators Association. From the home page of this website, under Find a Translator or Interpreter, click where it says Click here for advanced options. For an initial search, you can skip some of the fields and just focus on the ones shown here. Enter the language in which the document is written and your language (in which to translate it). Then scroll down to the Area of Specialization field. 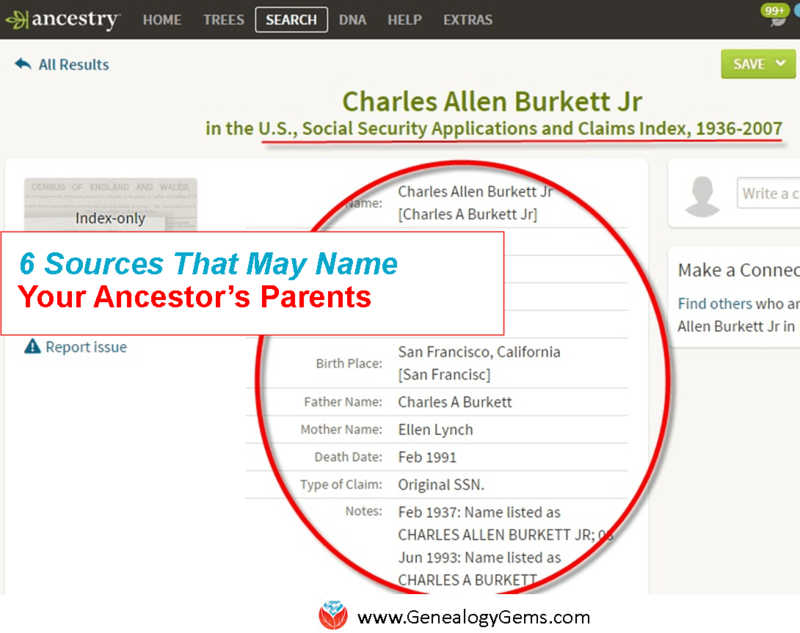 From the drop-down menu, under the Social Sciences category, choose genealogy or history. 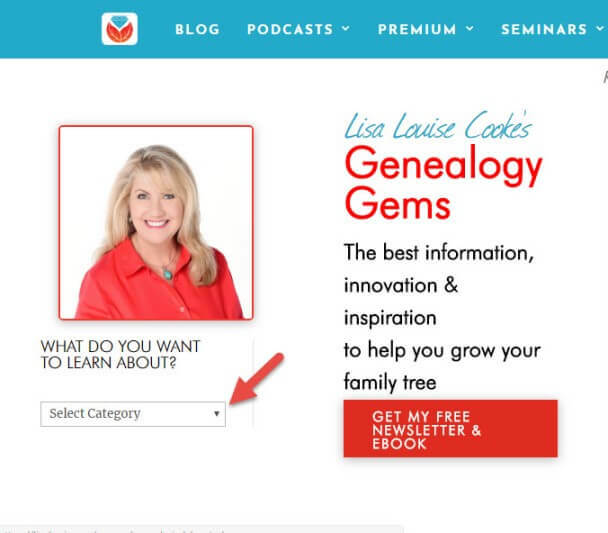 The Genealogy Gems website is packed with more tips to help you explore your family history in another language. To search for the ones you need, click here to return to the home page. Then use the category search on the left side. 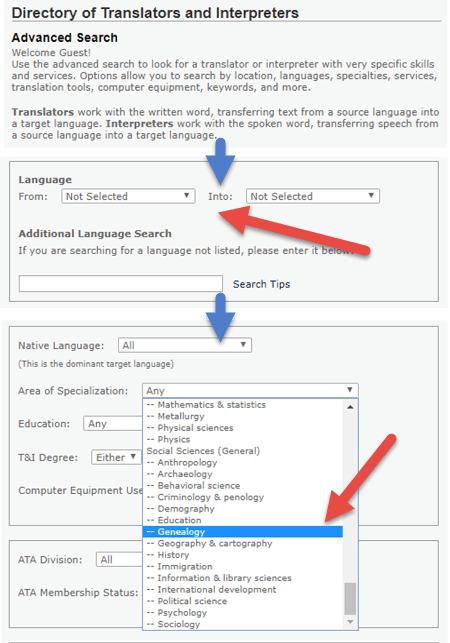 There’s a translation tips category, but there are also plenty of articles on researching German, Irish, Italian, Scandinavian and other ancestors whose records may be in a language you don’t speak. Start reading–you may find just the tip or tool you need to bust through your foreign-language family history brick wall.